Introduction: The name of Snorri Sturluson holds a special place of honour in the literary history of medieval Iceland. Those works which can be attributed to him with the greatest certainty, Sagas of the Norwegian Kings and Snorra Edda, are invaluable sources on the ancient cultural heritage of the Nordic nations, better preserved in Iceland than elsewhere. In addition to which they bear witness to the unique talents of the author, his writing prowess and knowledge. Snorri’s nephew and disciple, Sturla Þórðarson, who wrote a history of their age a few decades after Snorri’s death, makes no mention of his writings, however, with the exception of one sentence, not even mentioning them by name. Snorri was at one point the wealthiest leader in Iceland, enjoying great respect both among his countrymen and at the court of the Norwegian monarch, where he stayed from 1218 to 1220. His fortunes waned as he grew older, however, in the internecine struggles of Icelandic chieftains for power and influence, and he was finally killed in his own home at Reykjaholt on the 23rd of September 1241. 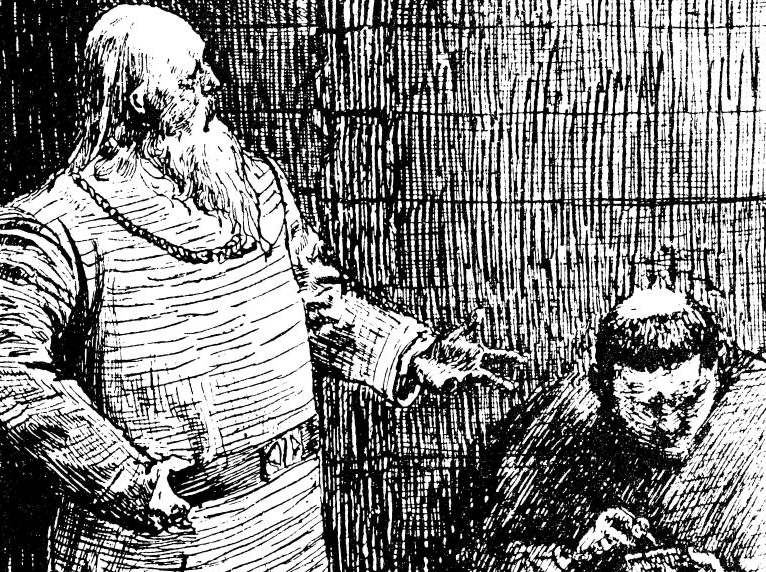 I shall first tell you briefly about Snorri’s background and his education and discuss his Edda, where he appears as mythographer, among other things, and then tell you about his career as a politician and discuss his Sagas of the Norwegian Kings. Snorri was of a prominent family in west Iceland, with a number of illustrious ancestors. Born in 1179, he was the youngest son of a dominant and quarrelsome chieftain who died while Snorri was still a young child. At the age of two years Snorri was sent to Oddi, in south Iceland, where he was fostered by one Jón Loptsson and would dwell for the next two decades. At this time Jón Loptsson was the most powerful Icelandic leader, and a close relative of the Norwegian royal family. The Oddi family included a number of learned men, priests and bishops, and the family’s wealth was to a significant extent the result of its connections with the church. At Oddi there had been a school, stretching back to the time of the priest Sæmund Sigfússon the Learned (1056-1133), who had studied in the Frankish realm and was the first Icelandic author. He wrote a brief Latin chronicle of the Norwegian kings, which is now lost with the exception of a few lines quoted in works by other authors. Þorlákur Þórhallsson, who was the bishop in Skálholt 1178-1193, began his studies in Oddi, then continued in Paris and Lincoln, where Jón Loptsson’s own son Páll, who was bishop 1195-1211, also studied some years later. There is no mention of Snorri taking orders at Oddi, although he doubtless learned some Latin there together with the basics of other clerical instruction of the time. The subsequent course of his life indicates that he did not intend to pursue a clerical career, for which he was not lacking the necessary talents, but rather a worldly one. In 1215 he was elected Lawspeaker, the most respected secular position in the country, and one that he would retain until 1231, with a brief interruption while he was abroad. He no doubt studied law with his foster-father Jón Loptsson and other learned men in Oddi. Sæmundur, the first scholar of Oddi, had written of the Norwegian kings and there would have been books there on these kings, as well as the kings of Denmark and earls of the Orkneys, and it is in fact likely that both Skjöldunga saga (a saga of the Scyldings, Danish kings from ancient times) and Orkneyinga saga (the Saga of the Earls of Orkney) were composed in Oddi or by members of family at Oddi during Snorri’s youth.